As part of ASP’s mission to reach out to grassroots organizations, Executive Director Ranil Sorongon assisted some leaders of a Self Help Organizations (SHO), for the education of their children. 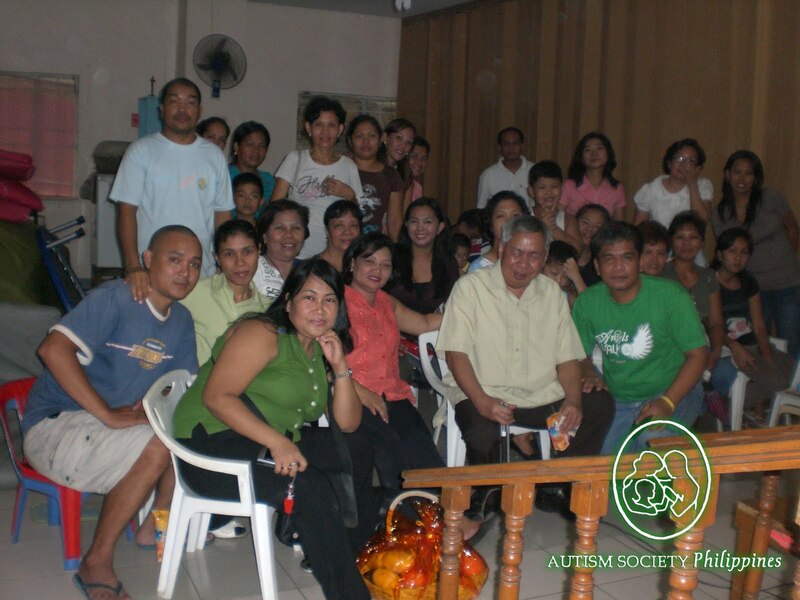 The Stimulation and Therapeutic Activity Center (STAC) of Quezon City was organized by the Katipunan ng May Kapansanan (KAMPI) through the Breaking Barriers for Children (BBY) Project in the early 2000. STAC strives to provide for the therapeutic needs of children with disabilities the less fortunate families of Quezon City and nearby areas. Later, STAC was turned over to the parent members as part of the sustainability mechanism with a rented office, therapists and therapy equipments. After the turn over, STAC parents were on their own, doing fund raising activities like selling home made peanut butter and other products. In the middle of 2009, the STAC officers were informed of the impending improvement of Quezon City Circle, where they hold office. With prayers and right connections, a room at the Day Care Center of Brgy. Culiat, QC was provided, through the Barangay Council. The Barangay Council also takes care of STAC’s monthly electric bills. Last, May 1, ASP Executive Director Sorongon together with Mr. Lauro Purcil, Sector of Persons with Disabilities (PWD) of The National Anti-Poverty Commission (NAPC) attended the General Assembly and Election of Officers of STAC. Before the election, Mr. Purcil gave an inspirational message and Executive Director Sorongon gave some updates on RA 9442 and information on education. “If not thru ASP and the parents of Montessori, STAC would have stopped its operation already” commented Dr. Adora del Rosario, the former President of STAC. The doctor was referring to Christmas donation given by Centro Montessori Quezon City, through the referral of Sorongon. Recently, STAC also joined the Manila Jaycee sponsored Educational Trip to Avilon Zoo. Click here to read more on the activity. Families who have children with autism became regular members of ASP like Ray de los Reyes and Shirley Angeles. STAC families also support ASP activities like the Angels Walk for Autism and the recently concluded 3rd World Autism Awareness Day Celebrations. ASP Diliman Chapter will have their Basket Ball Clinic culminating activity on May 13, 2010. Please stay tuned for more updates on the event. To get in touch with the chapter call ASP Diliman Chapter President Josephine Palomares at 09189269637. Be an Angel for Autism. Donate to ASP and help families dealing with autism. The time is now. Call 9266941 or 9298447 or email us at autismphil@pldtdsl.net.